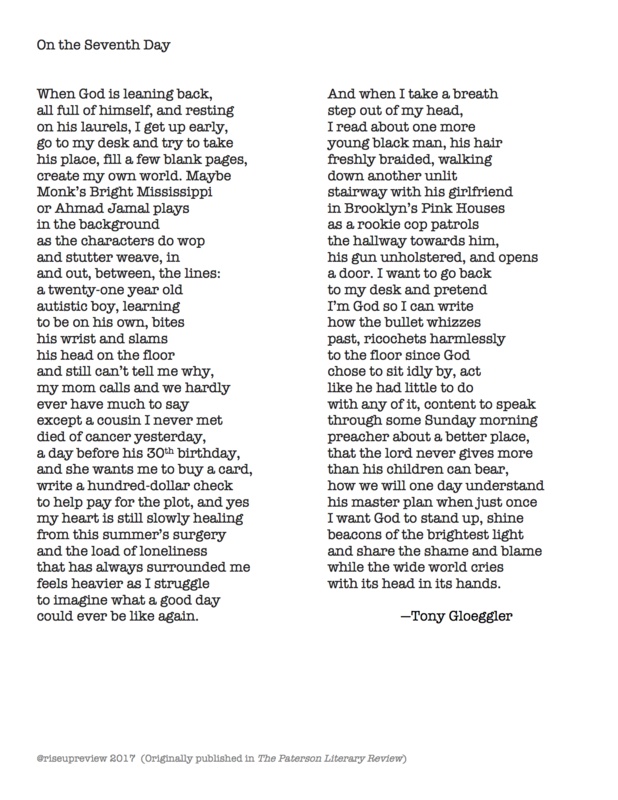 Tony Gloeggler was born and raised in New York City. He is the author of several full-length poetry collections, including The Last Lie (2010), Greatest Hits: 1984–2009 (2009), My Other Life (2004), and One Wish Left (2002). His chapbook One on One won the 1998 Pearl Poetry Prize. Gloeggler’s work has been published in journals and anthologies such as the New York Quarterly, the Ledge, the Massachusetts Review, River City, Washington Square, Skidrow Penthouse, West Branch, Rattle, Slipstream, and Puerto del Sol. Gloeggler currently manages a group home for developmentally disabled men in Brooklyn.